I wanted to experiment with these old dominoes and the scanner for my get pushed challenge of scanography. But I didn’t leave myself enough time to get the results I’d imagined. But I figured I’d go ahead and post this, since I needed to post something for today. 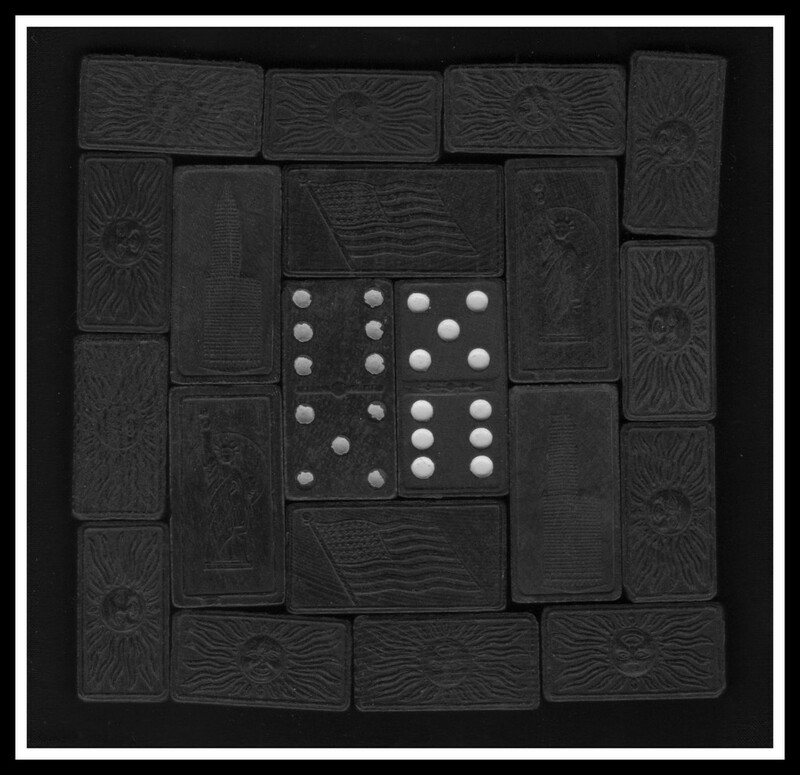 A long time ago I had an arrangement I had planned to use for a two dimensional piece using the actual dominoes, not just an image of them. Maybe someday far into the future, I’ll actually finish that project. Don’t hold your breath. @fbailey Here’s another scanner image. I have another one I did the other day that I then played with using the “Painnt” app Dan showed me (see my recent collage of different versions of the Crazy Cardinal photo) I may post one of those someday,but the results will be more fooling around with effects filters than scanography. Those are really unique old dominoes and you have arranged and captured them wonderfully! So pleased you've enjoyed the challenge. Will attempt to post something for mine later today, running horribly behind on everything. I like how it turned out. It’s a superb composition to start with and processed beautifully. It almost looks like cookies or candy! Very interesting black on black domino patterns.